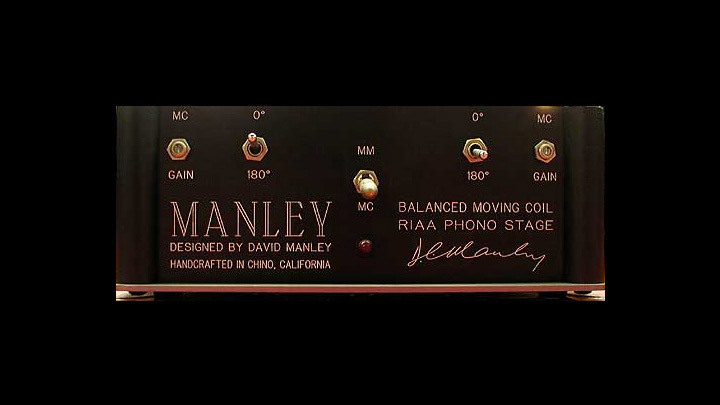 Manley Balanced Moving Coil RIAA Phono Stage — Manley Laboratories, Inc.
On this point, there's not gobs of (quiet) gain in this unit for the MC, so really with this unit you need to be up over 0.7mV output MC cartridges. Get a new Manley Steelhead if you want to use a 0.2mV MC cartridge! Hell, everyone should have a new Manley Steelhead! Me first! Sorry for the digression... At this point was where the Moving Magnet input came in. RIAA equalization was performed in the feedback loop of this 12AX7 stage. MM input impedance was fixed at 47 KiloOhms with usually 100 picofarad polystyrene capacitor soldered right at the MM RCA input jacks. From there a 12AT7 fed the output jacks via some nice MIT-MutliCaps. The chassis was made of aluminum and the tubes poked through the top of this chassis which didn't do much for shielding did it? So yeah, you don't want this thing next to that huge light dimmer for your fluorescent lights hanging over your turntable... ugh. The printed circuit board was gold-plated-- how nice! There was an outboard (thank god!) power supply housing a Mercury Magnetics power transformer and your basic rectifiers and pi filter caps and such. A 4-core grey umbilical cord carried the AC heater and B+ DC volts up to the audio chassis. Heater rectification took place in the audio chassis.